A Once in a Lifetime offer! Up to 30% discount on all our INFORM@X® instrumentation cables, any type or size. Be the customer who spends the largest aggregate amount on Prysmian INFORM@X® instrumentation cables during the promotion period and receive two tickets to a Guns N’ Roses concert of your choosing in any of the Australian capital cities where the band is touring in February 2017. Promotion runs from 01/10/16 till 30/11/16 or until stock lasts. * Authorised under NSW Permit No. LTPS/16/08010. Terms and conditions apply, see below. Congratulations to our customer TLE Electrical Alexandria! 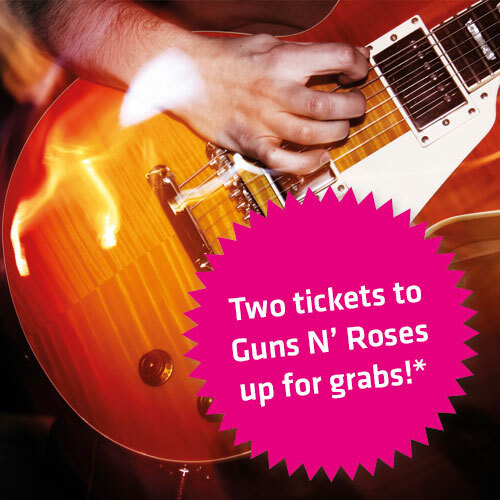 They have won 2 tickets to see Guns n’ Roses live at the ANZ Stadium on Saturday 11th February 2017.